As a family, we had two planned paid Marriott stays for August and two more for November. So, I knew that by starting the challenge in August I would be almost half way to completing it without changing any plans. Marriott’s MegaBonus promotion (stay two nights, get one free) ran until the end of August and then a new one was scheduled to start mid September. Between those two promotions I knew that my paid stays would pay off not just towards completing the Platinum Challenge, but also towards many free nights. Last April I had bought $1000 worth of Marriott gift cards for 20% off. With that burning a hole in my pocket, I knew that I would effectively get a 20% discount off my paid stays! Following is a quick rundown of each of my stays, with a focus on Platinum benefits received (or not). In all stays, thanks to Platinum status, we enjoyed free internet access and a 50% bonus in points earned (with the paid stays). Most rooms were nice and exactly what you would expect from a Marriott, so I’ll only mention the rooms if they seemed special in some way. We were upgraded to the club floor. The club lounge was ordinary with decent fishcakes as the evening appetizer. Our plans called for us to leave too early the next morning to try breakfast. Overall my impression was that this hotel was fine, but a bit run down. We arrived at the hotel at about 9 in the morning. At the desk I was immediately told that they were not yet checking in guests, but after looking up my name in the system the story changed. As a valued Platinum member they had a room ready for us! Plus, they had upgraded us to a harbor view room. For the Platinum arrival gift we chose cheese & crackers and a bottle of beer. The club lounge was closed for the weekend so the arrival gift was the only free food for us. This photo shows the view from our room. We used points for two separate award stays here (near Petoskey, MI). Both times we were upgraded to rooms with balconies that overlooked Lake Michigan. On our second stay, due to a booking snafu, we were upgraded to a beautiful two room suite. This resort does not have a club lounge, but does offer their very extensive and excellent buffet breakfast free for elite members. For both stays we took wine & cheese as our arrival gift which we enjoyed while sitting on the balcony watching the view. I didn’t have enough real paid stays to complete the challenge so I checked into a couple of Courtyard motels at a low rate. Thankfully, my wife qualifies for government rates. One of the two motels did ask for ID upon check-in. We were offered a choice of 250 points or one free item from their food pantry. I took the points. My family had a mini “staycation” here in order to knock off another night of the challenge. This hotel surprised us with a terrific evening spread in the club lounge. We had planned to go out for dinner, but instead we feasted for free on Roast Beef & Gnocchi and various delicious noodle dishes. Later, we stuffed our faces with cake. Breakfast was decent, but unremarkable. The primary purpose of this was to get another stay closer to completing the challenge, but I also used this as a convenient way to show up on time for my morning Global Entry interview at the airport (which went well, thanks for asking). The hotel was fine, but unremarkable. As with the Courtyard stays, there were no particular Platinum benefits other than the choice of 250 points or a pantry item. We spent four nights at this very impressive hotel. Thanks to my Platinum status we were able to check in at around 1 PM. We were “upgraded” to an executive room which, while nice, is most likely pretty much exactly like every other room in the new section of the hotel. Prior to this stay, I had filled out requests via Marriott’s Virtual Concierge service. I had asked for an upgrade to the more elegant “Chambers” section of the hotel. Their response was to offer an upgrade for a fee. No thank you. I also asked for travel information, but never heard back. Overall, the Virtual Concierge service was a bust. On the other hand, thanks to my Platinum status we had unlimited access to their wonderful club room which provided breakfast, afternoon tea, evening appetizers, and amazing service. We twice tried their restaurant for breakfast (also free for us) but found the service to be spectacularly bad. On the plus side, we asked for and were granted 4PM late checkout on our final day of the stay. For our last night in London, we stayed near the airport in preparation for our morning return flight. This hotel had a very nice central atrium and large bedrooms. The lounge had a very nice food selection in the morning and evening. This and the Dearborn Inn were the only lounges we visited in which the evening spread made for a decent free dinner. This was another “mattress run” and the final stay needed to complete the challenge. I was put into an ordinary room with a very nice lake view. This resort is beautifully decorated and I imagine it would make for a very nice staycation in the summer. The lounge was nice, but the food wasn’t. The most valuable benefit of all may have been the two occasions where we needed early check in. Coming off a cruise in one case, and an overnight flight in the other, it was awesome to be able to go right to our room to settle in. Note that they do not guarantee this (or even mention it) as a benefit. Similarly, late checkout made the tail end of our London stay much nicer. Where the lounge was available and open, this was also a great benefit. When traveling, I like to eat first thing in the morning before going out to explore and so a high quality free breakfast is terrific. Similarly, there are times where I prefer to stay put in the evening and so a lounge with a good evening spread is great. Marriott lounges are usually available to both Gold and Platinum members, but the one at the St.Pancras is only free to Platinum elites. Free internet for Gold and Platinum members is a huge plus especially if you have a gazillion internet accessible devices like we do (yes, I counted). The Platinum Arrival gift was really nice, especially when we chose the combination of a bottle of wine and a cheese & cracker tray. On stays in which there was no lounge or where the lounge was closed for the weekend, this perk was hugely appreciated! Hilton sets the bar here by guaranteeing free breakfast to anyone with Gold or Diamond status. Marriott offers free breakfast most of the time, but punishes us if we decide to stay on a weekend in the U.S. or Canada. In fact, if free breakfast is important to you, I’d recommend simply getting the Citi Hilton Reserve card (which offers automatic Hilton Gold status) and spend your weekends with Hilton. Note that as I wrote this I realized an irony: the Citi Hilton Reserve card gives two free weekend nights as a sign-up bonus. Clearly Hilton wants to see us on the weekend! In the past four months I checked into Marriott hotels 11 times (9 paid stays and two award stays). Only once was I upgraded to a suite and in that case it was due to a booking error (on their part) and the suite was the only room available. Starwood and Hyatt set the bar here by providing mechanisms for their top elites to get confirmed suite upgrades. With most hotels, you won’t know about your suite upgrade until you’re handed the room key, but with SPG and Hyatt you can secure your upgrade ahead of time for those stays in which it is most important. I’ve really enjoyed having Platinum status with Marriott. Lounges, early check-in, late check-out, free internet, and even Platinum arrival gifts all contributed to nicer stays. That being said, Marriott’s elite program has serious catching up to do with Hilton, Starwood, and Hyatt. Here’s to hoping that they do. I know every person has their own line, but using your wife’s government rate when she is not traveling for official government business is a violation of ethics, not only that your wife can actually get in trouble for it and face disciplinary action if found out. Why? Her and her family are using her position for personal gain. Even if she didn’t know what you were doing, she would still be responsible. If you don’t believe me, have her ask her agency’s Ethics officer. These hotels make the government rate available as a courtesy to help lower the cost of the hotel and to gain a government business traveler. Some hotel’s are starting to pull government rates because of this sort of abuse. I love your articles and most of what you write, we just see differently, and I hope your wife sees her Ethics Officer/Legal Department as she can get into huge amounts of trouble up to and including termination for using public office for private gain. I realize this is an extremely late comment, but we sometimes get a government rate through my husband’s job and some hotels explicitly allow the gvt rate to be used for business or “leisure” stays. My only concern would be getting the govt rate when the room is in your name, but your wife is the one who qualifies for the rate. No problems at the hotel with that? That’s a good question. No, I’ve never run into a problem with that. As long as one of the guests has a government ID the front desk people have always been fine with that. Actually this changed over the summer and suites are no longer excluded from upgrades but they are also not guaranteed even when available. Wording now says that Upgrades “may include…” a list of room types, and among those is suites. Starwood offers their 50 night (but not 25 stay or meeting planner) Platinums 10 suite nights that can be confirmed 5 days in advance of arrival. Those amount to 10 nights where you get to express priority for upgrades. Which is meaningfully different from the way we usually think of confirmed upgrades. Hyatt lets their Diamonds confirm suites 4 times per year (up to 7 nights each time) at time of booking if available. That’s a ‘guaranteed’ upgrade, rather than just learning whether you’ll get it prior to check-in. On LATE CHECKOUT worth noting that this is not guaranteed, it is subject to availability day of departure. Hyatt and Starwood guarantee it for their top tier members. On Breakfast arguing Hilton sets the bar — and certainly at the mid-tier since it’s the only similarly-situated status that offers breakfast. But the best top tier breakfast benefit is Hyatt’s which if there’s no available club lounge guarantees FULL (not continental) breakfast for up to FOUR people registered to the room. And if the hotel has a club lounge but it’s closed they ALSO provide 2500 bonus points for the inconvenience. Gary: Thanks for the free guest post! I forgot about Marriott changing the suite rule. The Platinum Membership Benefits guide I just got in the mail still says that suites are excluded. It looks like they are behind in updating their materials. Thanks for clarifying the Starwood and Hyatt upgrades. I would have put that info in, but felt the post was already getting too long! Late checkout: Yes it is true that its not guaranteed. In fact, I have had to remind people about elite benefits in order to get late checkout as Marriott Platinum and as Starwood Gold. Hilton Breakfast: Yes, my point was that Hilton sets the bar by giving free breakfast to mid-tier elites. I didn’t mean to imply that they set the bar at the top level. In practice, with Hilton, I usually do get hot breakfast even if they only guarantee continental breakfast. Actually use of government rates for personal hotel stays is not as simple as “bad” or “ok” — instead it is something where the rules vary by chain and by hotel. Always check the rate rules when booking government rates. For instance, you may see “This rate is for official business only” in which case it is against the hotel’s (rather than the government’s) rules. But when it’s not against a hotel’s rules, it is not against the government’s rules. @gary- Have you heard of people using the IHG auth card having to show add’l proof for use of giv rate or is having the auth card alone sufficient? When you are not a government employee getting a government rate by using your spouses government status. Then your spouse is using his or her government position for personal gain which can get your spouse in trouble. Just saw two people get dismissed for it on my post. YMMV but if you are caught you can lose your job and be denied clearances in the future. Is that really worth saving $20 as well as being against your terms of employment? It isn’t the hotel which states what is good or bad it is your employment. Federal Employees have different standards to adhear to than do contractors. If you are a fed go see your legal or ethics counselour and they can tell you what you are doing is in fact wrong, and can be punished by dismissal for using a government office for private gain. In this instance yes, your wife using a government rate not a government leisure rate is creating the appearance of using a public office for private gain. While it is not a “gift” under OGE guidelines, there is an appearance in which your wife is using her public office for personal gain by letting you “use” her government status for a discount not available to the public at large. Do no Harm: You left out the intro sentence to that set of bullets that says “When the offeror of the discount targets a narrow class of employees for its discount…” That is simply not the case here. 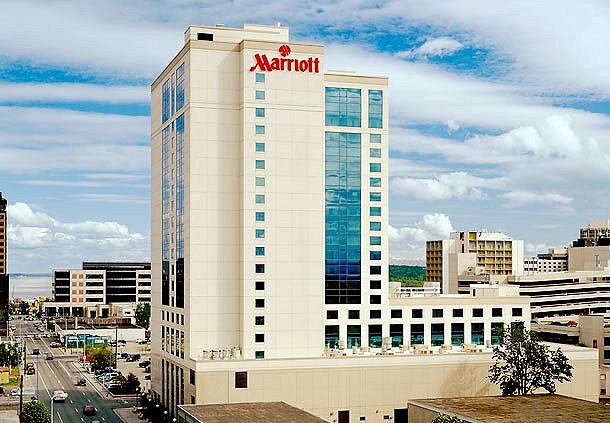 Marriott makes the government rate available to all government employees and specifically allows it for personal use. @Do no Harm. Do you seriously have nothing else better to do? First, you are completely incorrect. The policies varies hotel to hotel. Some hotels require “official business only”, “travel orders”, of “government credit card”. If those are not listed they simply ask for a federal ID. There is NO rule against obtaining a more favorable rate as along as you are not stating that you are on official travel when you are not. And as to the OGE you are misreading that. That is meant for something completely different, i.e., bribes or you only getting a better rate at this hotel because of your employment status. The government rates are available to ALL government employees, permitted by each hotel policy, therefore, there is no using your position for personal gains (i.e., giving a contract to that hotel). One more note. Government employees who are typically traveling are hard working road warriors. The government is not going to pay for everyone to travel. I am under paid for what I do and can go to the private sector, but I enjoy where I work and who I work for. I do an extensive amount of overseas travel (Asia) and I am so sick of people thinking that I shouldn’t be able to upgrade or fly out of a different airport when on official business. I’m on an airplane for 25 hours, I don’t care if you work on Wall Street or Main Street you should be able to upgrade at your own cost. For example, I am transferring permanently to Asia next month and need to fly out of a different airport. HR has authorized it, yet my travel office won’t book it because they think that it is against the rules. They can’t even find a rule that it is against and I have found at least 10 that allow it. My point is that travel regulations for government travel are very complex. There is no need to have every single person weighing in on what they THINK should be the rules versus the rules actually are. I was under the impression that only SPG counted award stays. We are doing a platinum challenge right now and would love it if award stays would go toward it. Heather: no, award stays don’t count with Marriott. How would you compare Marriott Platinum vs. Hilton Diamond? I’m planning for 2013 and am wondering if it’s worth it to switch. I love your comments about the London hotel. I have not stayed there but in London the answer is no to everything and there is always an additional cost. That 4PM late checkout in their mind was an amazing perk to recognize your high status. Anyone else asking would be told that they would be happy to at some outrageous additional cost. Of course the maid might get to clean that room at the same time anyway since it is London and they are not known for their service. Sorry in London means take a hike. Sorry is an often used word. Lee: I haven’t experienced Hilton Diamond status, so I can’t really compare. Their benefits appear to be similar other than Marriott’s lack of guaranteed weekend breakfast. robertw: It sounds like you’ve had bad experiences in London? Non-US Marriotts typically have lounges, with breakfast, open 7 days a week. In the US, where loungers are still closed on weekends, most Marriotts now give elites some sort of free breakfast on weekends, which may or may not be better than the breakfast in the lounge. Bil G: Yep, that’s true. That’s a new development though (regarding US/Canada breakfasts) that wasn’t in place when I did my challenge.